Earlier this week, Blueface was called out by one of his fellow Crips after he failed to pay his respects when Nipsey Hussle passed away. As somebody that came up on the West Coast who reps Crip, you would think that Blueface would be one of the first to react to Nipsey's murder. Surprisingly, that wasn't the case. Word may have gotten back to him that people weren't happy because nearly two weeks after his passing, the "Thotiana" rapper has finally spoken out. 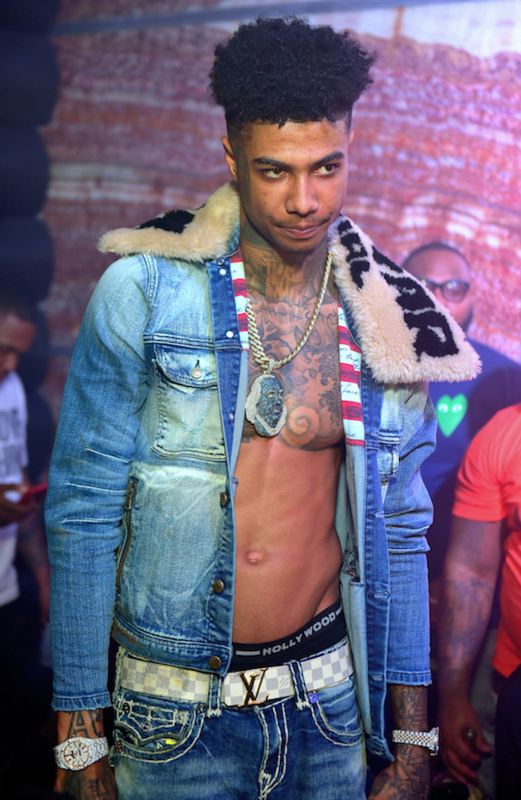 During one of his club appearances this week, Blueface took time to pay tribute to Nipsey Hussle. His memorial post was not as detailed as many others, including YG and Snoop Dogg, but at least it exists now. The rapper posted a video of himself with the screen behind him pixelated with a photo of Hussle, writing "RIP Nip" on top of the image. Many members of the hip-hop community were surprised that it took such a long time for Blueface to speak out but with Nipsey Hussle's Celebration of Life taking place today, it's better late than never.